Joanna Allan explores the roots of resistance in Western Sahara, reflecting on how oil, phosphates and the struggle against colonialism have played out in a state that is all too often overlooked in contemporary coverage of African politics. Prior to the 1975 Moroccan invasion of the territory, Western Sahara had been known as ‘Spanish Sahara.’ As well as exploiting the territory’s rich fisheries, the Spanish built a phosphate mine in their North African colony, which is still the world’s number one source of phosphates. The Saharawi pro-independence movement, known as the POLISARIO, was formed in 1973. One of the first targets of its acts of guerrilla sabotage was the conveyor belt (the longest conveyor belt in the world, incidentally) that carries phosphates from the mine to the seaport. The wider Saharawi population, which, according to a 1975 UN Visiting Mission, overwhelmingly supported POLISARIO’ calls for independence and rejected integration with any neighbouring country, were conscious of their country’s resource wealth. If one leafs through colonial government documents in the archives in Alcalá de Henares, Spain, it is also clear that civil servants at all levels of the colonial hierarchy were aware of the Saharawi rejection of resource exploitation. For example, in October 1974 a disgruntled Spanish civil servant wrote back from El Aaiún (Western Sahara’s capital) to her head office in Madrid of a 15-year-old Saharawi schoolgirl who had gathered together all her female classmates to plan a break-time protest against the Spanish presence in the territory. The girls complained that the Spanish had done nothing in the territory apart from ‘discovering phosphates’ and ‘taking them away’. But Saharawi protests could not stop the final sale of Western Sahara. Rather than submit to UN calls for decolonization, Spain signed a secret and illegal agreement with Morocco and Mauritania, in which it transferred Western Sahara to its neighbours in exchange for rights over fisheries and a 33% of profits from the phosphate mine. As Spain sneaked back north with a heavy wallet, Mauritania and Morocco invaded Western Sahara. Dozens of thousands of Saharawis fled east, eventually ending up in huge refugee camps in Tindouf, Algeria, which was declared a state-in-exile by the POLISARIO in 1976. Although POLISARIO defeated Mauritania in 1979, Morocco today still occupies most of the territory of Western Sahara. This occupation is brutal and repressive: Moroccan-occupied Western Sahara regularly makes the annual ‘worst of the worst’ list of the international civil liberties NGO Freedom House. Yet Saharawi civilians that did not flee to Algeria have maintained nonviolent resistance against the occupation for the last forty years. The resistance began clandestinely. Activists distributed pro-POLISARIO leaflets in secret, hid their colleagues in safe houses and scrawled slogans in favour of independence on walls. As activists gained confidence, tactics became more public. The first large-scale demonstration was upon a UN visit in 1987, which saw a hundreds-strong protest in favour for respect of Saharawi human rights. The participants of the demonstration were forcibly disappeared over the following nights and days. Whilst some died in secret detention centres, others were released upon the 1991 ceasefire between Morocco and POLISARIO, brokered by the UN on the promise of a still unrealized self-determination referendum on independence for the Saharawis. 1999 saw a Saharawi intifada in favour of human rights involving thousands, then in 2005 there was a still larger intifada, this time calling for independence. The largest uprising since has been the 2010 Gdeim Izik protest camp, in which some 20,000 Saharawis spent a month at a camp in the desert calling for jobs, independence and an end to natural resource exploitation. This 2010 focus, by protesters, on natural resources was preceded and accompanied by a parallel focus from Saharawi campaigning and lobbying professionals (including the organisations Committee for the Protection of Natural Resources in Western Sahara (CSPRON) founded in 2006, El Aaiún, the Saharawi League for Human Rights and Natural Resources founded in 2011, Boujdour, the Association for the Monitoring of the Natural Resources and Environmental Protection of Western Sahara founded in 2015, El Aaiún, Saharawi Natural Resource Watch (OSRN), founded in the camps in 2013, and the Saharawi Campaign Against the Plunder (SCAP), founded in the camps in 2015) Saharawi journalists, international solidarity activists – mainly under the banner of Western Sahara Resource Watch, founded in 2004 by British, Dutch and Scandinavian activists – and the POLISARIO itself. Why have demands for an end to natural resource plunder risen to prominence? The peaceful resistance has always progressed little by little in accordance with the possibilities offered, and with careful progress building on the past experience. Before, it was very dangerous to show one’s political views, so the activists used social, economic and cultural claims to create an atmosphere of resistance in the society. Now, I think that we are in a phase in which the struggle is on at all levels, and intentionally. Secondly, there is at best a lack of information, and at worst an orchestrated disinformation campaign by involved corporates and governments, on the issue of resource plunder in Western Sahara. For many Saharawis, this means, in the words of one activist, that ‘we just didn’t know about the plunder until very recently, so we have only just started to focus on it’. For the international community, this means not knowing that the products in which they invest or that they consume are from Western Sahara at all. If I pop down to my local supermarket (unless my local supermarket is the Coop, which refuses to sell plundered produce), I can buy tomatoes, lettuce and tinned fish from occupied Western Sahara, but it will be labelled as Moroccan produce. Or, to use an example local to the birthplace of the DiA blog, Edinburgh-based Cairn Energy, a member of the first consortium to drill for oil in Western Sahara’s coastal waters, erroneously continues to insist that its activities take place in Morocco and denies any ethical or legal wrongdoing. Unfortunately for Cairn Energy, ethical investors, not least the world’s largest sovereign wealth fund, are showing their disagreement by way of divestments. This brings us to a third reason behind the ‘turn’ towards natural resources amongst Saharawi demands: success is inspirational and attracts further activists. Despite working with Western Sahara Resource Watch and Western Sahara Campaign UK myself for several years, I have quite literally lost count of the numbers of companies that Saharawi activists, solidarity activists and the POLISARIO have collectively pushed to divestment between the initial divestment of French oil giant Total in 2004, to this month’s departure of the largest international company present in Western Sahara, Swiss Glencore. Other recent major successes include the POLISARIO’s December 2016 defeat of the European Union in the latter’s own Court of Justice, which means that the EU cannot legally continue to allow the inclusion of occupied Western Sahara in its trade deals with Morocco, and, making use of this legal success, the South African government’s seizure of a cargo of plundered phosphates on their way from Western Sahara to New Zealand earlier this month. These successes led to big celebrations in the Saharawi refugee camps, further publicising the significance of the natural resources issues to the (ir)resolution of the Western Sahara conflict. Social media, communications and education are other factors that Saharawis highlight in provoking the ‘turn’ to the prioritisation of natural resources-related demands in the Saharawi resistance. Saharawis began to have mass access to internet, mobile telephones and social media from 2005 onwards, allowing for increased communication with the outside world and new routes for campaign dissemination. The Saharawi Campaign Against the Plunder has been particularly innovative in its use of social media, which is illustrated well by its You Tube campaign against Irish/British San Leon. What does this renewed focus on natural resources mean for the future of Western Sahara? 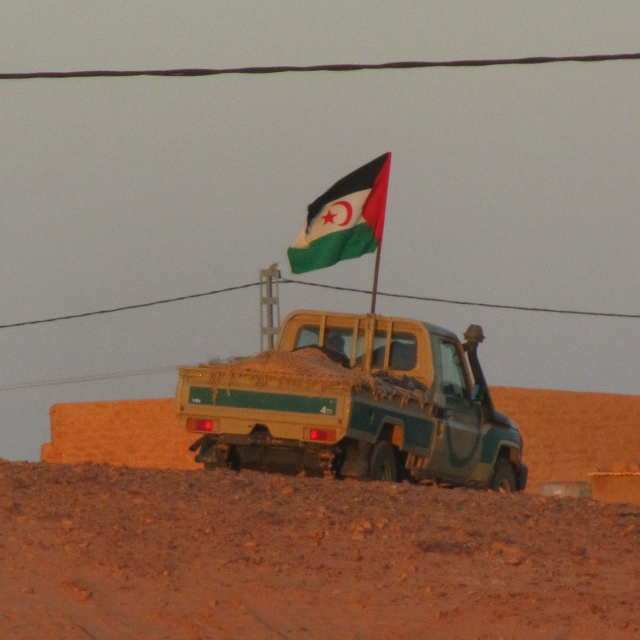 Some Saharawis see the battle over natural resources as a ‘third route’ to independence where UN-brokered talks between Morocco and POLISARIO are in stalemate and war could be suicide. Says one young activist working on the issue of natural resource exploitation: ‘I can see that the diplomatic path is going nowhere, and so some young people want to go back to war. I don ’t want war, and I see natural resources as another possible path towards our independence’. But this is not just about hope for the long-suffering Saharawi population. To understand why an end to natural resource exploitation could be a turning point in the conflict, we must first think about why Morocco still occupies Western Sahara. The initial 1975 invasion, which is still celebrated annually in Morocco on Green March Day, was arguably a great show of Moroccan patriotism that helped to unite the population and boost then-King Hassan II’s popularity. Today, though, the occupation is less popular amongst Moroccans – it’s an expensive business. No less than one third of the entire Moroccan population of the occupied Western Sahara are soldiers, and on top of this are unknown numbers of police, gendarmes, Interior Ministry agents, royal secret services, plain-clothes agents and civilian informers, all of whom must be paid by the state. But the cost of the occupation is currently counterbalanced by profits from resource exploitation, which is worth literally hundreds of millions of pounds on an annual basis. If Morocco could no longer make money from the occupation, there would arguably be a substantial incentive for the country to follow the UN decolonization process. In other words, an end to the plunder could mean an end to the occupation. Click here for Allan’s journal article: Natural resources and intifada: Oil, phosphates and resistance to colonialism in Western Sahara. Mateo, Concha. “Informe sobre la actitud política de la mujer saharaui,” 1-17. El Aaiún, October 1974. Report of the United Nations Visiting Mission to Spanish Sahara, 1975”, UN Doc. Official. Records: Thirtieth Session, Supp. no. 23, Volume 3, Chapter XIII, A/10023/Add.5. New York: United Nations. Zunes, Stephen, and Mundy, Jacob. War, Nationalism and Conflict Irresolution. New York: Syracuse University Press, 2010. Your article presents a biased picture about the situation in the Western Sahara, especially the allegations of the exploitation of natural resources. Which poses a real problem of neutrality and objectivity. The article presents a succession of false information. I will briefly analyse in several points. Morocco has never been referred to as “occupying” the Western Sahara by any recognized official body of the United Nations. Specifically, there is no report of the UN Secretary General, no resolution of the Security Council, no legal opinion of the UN and no referencing documentation describing Morocco as an “occupying power.” For over thirty years, there has not been any General Assembly resolution on the Sahara issue that has conferred such a status on Morocco. The use of this word was, and continues to be, an obvious attempt to inflame emotions and manipulate facts. The concept of an “occupying power” is clearly defined in the Hague Regulations of 1907 and in the IV Geneva Convention adopted in August 12th, 1949, stipulating that the notion of an occupying power applies to the occupation of the territory of an existing State during an international armed conflict. Yet, at the time of the Sahara recuperation, there was No independent State other than the Kingdom of Morocco. Specifically, the United Nations describes the Sahara area as “a non-autonomous territory” and includes it in its list of sixteen territories, which fall into this category. The author has reported the piracy action of South Africa witch stopped Moroccan shipment of 50.000 tons of phosphate from Western Sahara on the Polisario’s demand and allegations of the exploitation of natural resources. The author did not say to his readers that according to the decision of the European Court of Justice in December 2016, the polisario Front does not have the legal legitimacy to represent the economic and commercial interests of the inhabitants of the Sahrawi territories. As a separatist movement does not enjoy the international legal capacity to accede to international treaties. On this basis, South Africa cannot claim that the ship’s detention is based on the demand of the Polisario. This entity is not recognized by the United Nations nor by the absolute majority of world countries. The actions of South Africa are a flagrant violation of the principle of “right of innocent passage” of ships. In fact, the International conventions on the law of the sea, in particular, the United Nations Convention on the Law of the Sea, known as Montego Bay treaty concluded in 1982 and ratified by 168 states including South Africa, obliges coastal States to respect the right of “free and innocent passage” of commercial ships in their territorial waters. This principle is only limited when the ships threaten the security and safety of the coastal State, or threaten the public order, or in case of a threat to the natural environment. 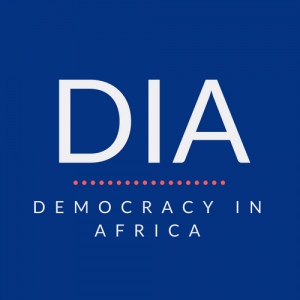 Ultimately, It is not surprising that South Africa is doing such illegal and immoral acts in the context of the decrease of its hegemony on the African sphere of political and economic relations, especially after the strengthening of the Moroccan economic presence in the continent in terms of commercial links and the volume of investments. South Africa claimed that the interests of the inhabitants of the western Sahara must be preserved. It is easy to refute all these allegations because the statics show the average per capita income in the western Sahara region, is superior to the Moroccan national average and to the rest of the Kingdom regions. Social protection programs and economic initiatives have consistently placed the Western Sahara in the highest ranks in the Moroccan country in terms of human development. Today, 97% of children are enrolled in school with this number stabilizing at 78% in secondary levels as compared to 14% in 1976. In a 20 year period, poverty in the region decreased by 66% or two times that of the national level. The region now has two regional airports, four maritime ports, 10,000 km of roads, and an 80+% connected utility rate for the homes and businesses in the region. Hospitals, cultural centers, libraries and recreational facilities, have been constructed for the benefit of the citizens. Housing is built and available for any Sahrawi wishing to return to Morocco. Additionally, King Mohammed VI recently announced the launch of projects in the region worth an estimated MAD 140 billion (approximately US $ 15 billion). The phosphate as an economical booster, especially for Southern regions (westers Sahara). The kingdom’s foes believe it is scary, frightening weapon. Thus they try in anyway possible to stalemate it, blocking a ship full of Moroccan phosphate is a suitable example. The investment being made in Western Sahara are seven times equal to the income made off the region’s Natural resources. Morocco has adopted the policy of programmed contracts with different regions of the County, In which the southern provinces have been put as a priority with a contract estimated by more than 77 billions of dirhams, and that is to establish a new development momentum in all fields, the OCP (the Moroccan National Office of phosphate to mention its affiliate office in the south), participates with its share, in the development and modernization of these provinces by launching a investment program of 20 billion dirhams. And it’s precisely this policy, that frightenes the opponents of Morocco’s territorial integrity and that pushes them to commit hostile acts in the margins of international laws while their only hope is to provoke Morocco. The harsh and very sad conditions the Sahrawi people endure in the camps established by the Polisario Front are truly deplorable. As is routinely pointed out, “the food aid is often irregular and generally insufficient. It only covers one-third of nutritional requirements.” Again, it is important to look to the facts. The international community has been extending financial support to the Tindouf camps since 1975. According to the OLAF (European Anti-Fraud Office), the donations of the European Commission’s humanitarian aid department (ECHO) to the Tindouf camps refugees between 1994 and 2004 amounted to € 105 million on the basis of a population of 155,000 persons, as estimated by Algerian authorities. Algeria and Polisario has refused despite repeated calls from the UN’s refugee agency and Union Nations Secretary General, to identify and record Tindouf populations” said OLAF. The report drafted by OLAF investigation team asserts that large parts of the assistance and aid were diverted by Algerian senior officials and leaders of the Polisario Front. First, your observation that no recognised UN body has ever referred to Western Sahara is factually incorrect. In the earlier years of the Western Sahara conflict, UN bodies routinely referred to the Moroccan (and also Mauritanian) “occupation” of Western Sahara. It is only relatively recently, under pressure from Morocco and its allies, that such language has gradually become less common in UN discourse. It should be easy for you to check this by reviewing, for example, UN General Assembly resolutions online. Second, I think my choice of language comes from careful consideration, and is, I believe, entirely justified. As Eugene Kontorovich recently noted, “occupied” is the correct legal term to use when describing the status of Western Sahara in relation to natural resource exploitation (see “Economic Dealings with Occupied Territories,” Columbia Journal of Transnational Law 53, no. 14-46 (2015): 611-12). He also notes that, accordingly, “occupied” is the term used by the vast majority of legal scholars working on the case of Western Sahara. Interestingly, Stephen Zunes has also highlighted how France and the USA have gradually altered mainstream understanding of Western Sahara as from “occupied” to “disputed.” Morocco also seeks to accelerate this change in language. For example, in 2016 Morocco expelled UN peacekeepers in retaliation at UN Secretary General Ban Ki Moon describing the territory as “occupied.” The gravest issue with such a change in language is the legal implications. A “disputed” territory is not subject to all the clauses of Geneva Convention treaties and protocols that an “occupied” territory is. As Zunes says, in a “disputed” Western Sahara it would not be illegal for Morocco to move settlers into the territory, or for Morocco to sell the territory’s natural resources. As the EU case mentioned above indicates, the EU Court does consider such sales as illegal, underlining that the territory is occupied rather than disputed. I find it tricky to respond to your comments in this area, because, indeed, you are right that the 2002 Legal Opinion concludes that any exploitation of Western Sahara’s natural resources is illegal if the wishes and interests of the people of the territory are not considered! This is the basis of my whole argument and is precisely why the EU Court of Justice found the inclusion of Western Sahara in EU-Morocco trade agreements to be illegal: the Saharawi people had not been consulted, and their wishes not taken into consideration by the EU Commission. Also, my understanding is that the Court found that the POLISARIO does indeed have legal standing. That is why their case was heard and tried. If it did not have legal standing, POLISARIO’s case could not have been tried in the way that it was. You call the government of South Africa’s recent actions as “illegal,” “immoral” and as acts of “piracy.” That is your opinion. I simply have the opposite one. We will see what happens when the case reaches the courts shortly. As for Morocco’s investments in Western Sahara, this is a different subject not addressed in my article, so I’m not sure why it is relevant to bring it up here. However, if I were to write on this, I would be keen to explore to what extent Saharawis, rather than Moroccan settlers, benefit from investments, to what extent such investments are attempts to create “facts on the ground” to reinforce the occupation, I would very much question the assertion that housing is equally available to Saharawis especially after reading research that Saharawi land has been re-appropriated to make way for wind farms, and would also question claims on social protection programmes. For example, my own fieldwork amongst Saharawi women suggests that their access to minimal forms of ‘social protection’ are dependent on their political opinions. But, as I said, this is a whole different topic.